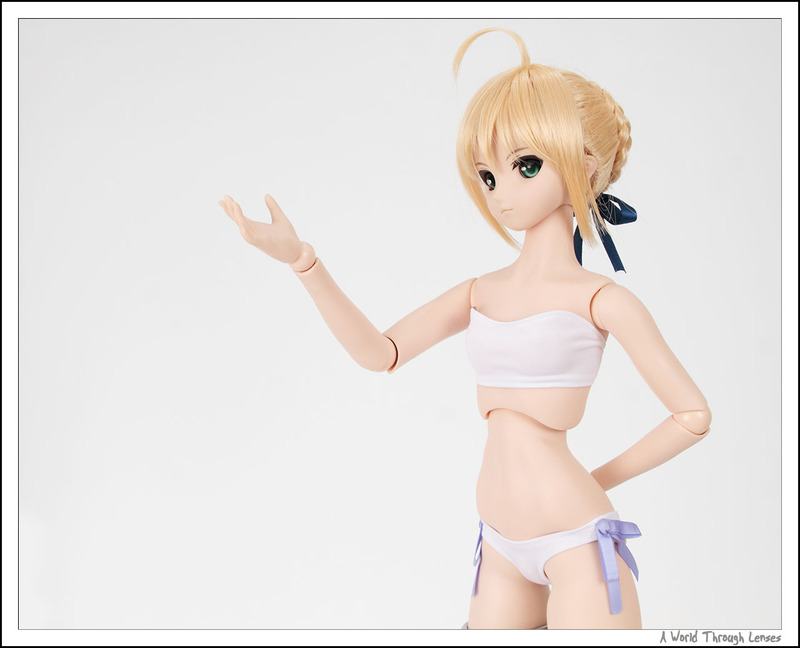 So let’s kick off doll’s fashion swimsuit edition with Saber. 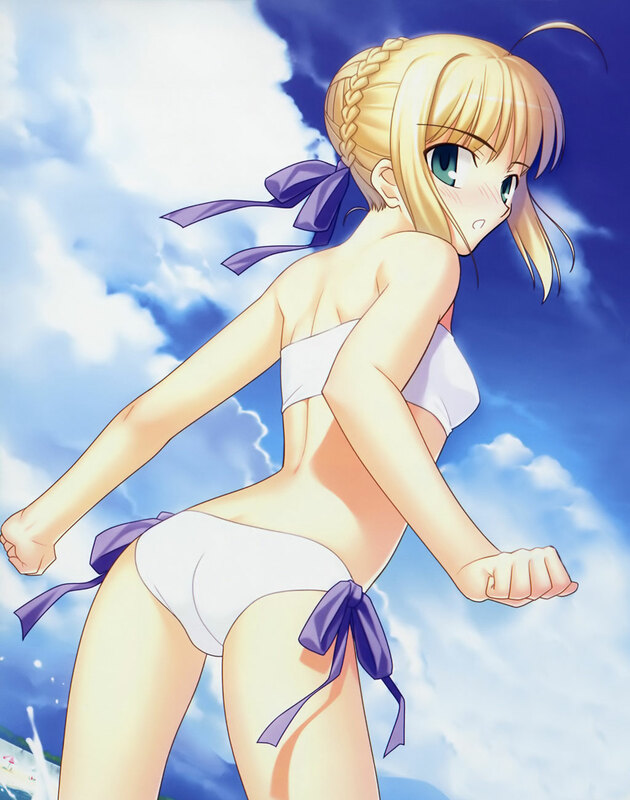 Saber is wearing her signature white bikini with blue ribbons. 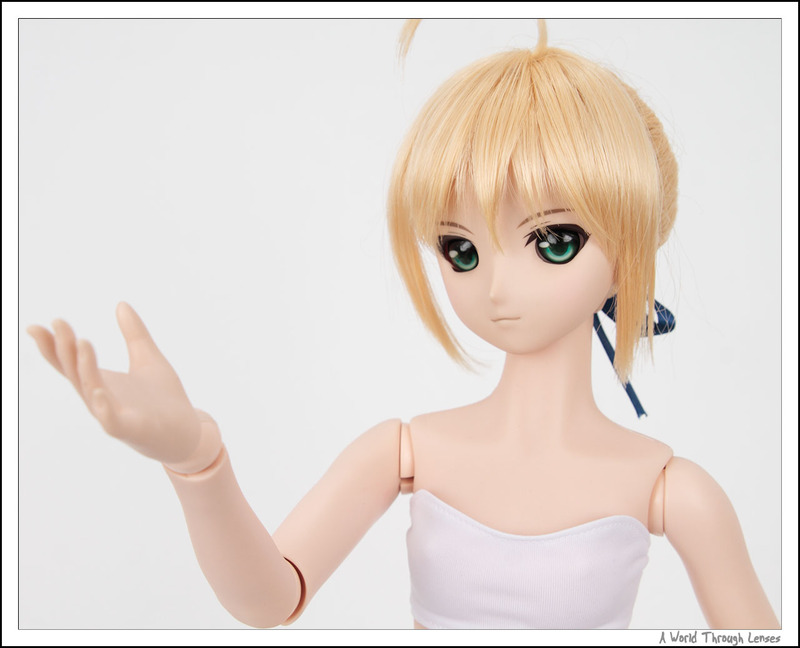 This is one of the recently released official clothes set for Dollfie Dream Saber – Saber’s swimsuit set (セイバーの水着セット) by Volks. It was on sale during the Home Town Dolpa Osaka 6 held during the weekend of August 21, 2010. I got this through Volks USA’s lottery for Home Town Dolpa Osaka 6 but it was only received recently. Saber’s a bit shy in getting into her bikini outfit. But once in, she looks beautiful. Swimsuit and shinai… Hmmm… beauty and the beast? Here’s what the back looks like. The top is a simple one piece with a hook at the back holding it tight in place. Here’s a 2D illustration of Saber in her swimsuit.